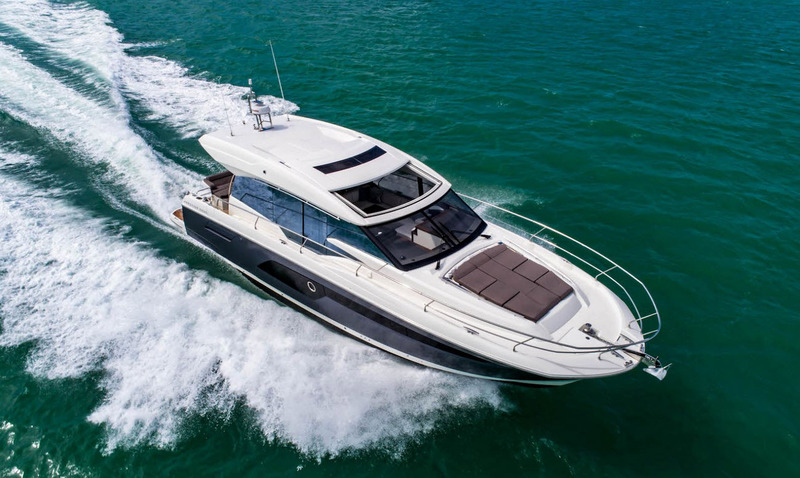 Prestige Yachts announced that one of their newest models, the Prestige 520S Express, has won the "Best Sports Cruiser Up To 55-Feet" award at the Asia Boating Awards in Singapore. The Asia Boating Awards are held right before the Singapore Yacht Show and are considered the most prestigious boating awards in the region. 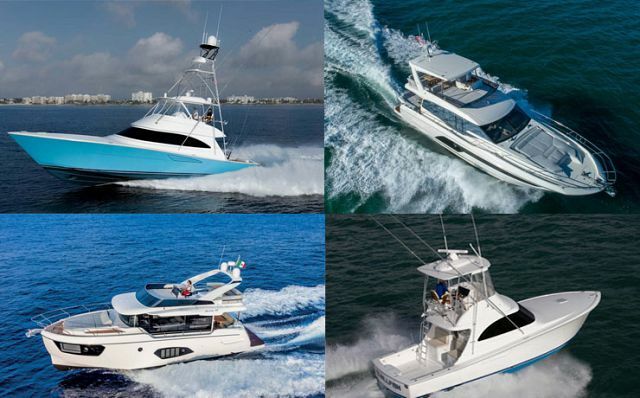 "Models that win at the Asia Boating Awards typically end up being very popular in the U.S. 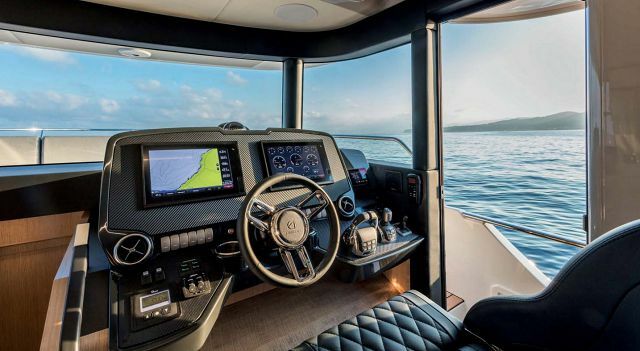 They judge the boats by the same standards we do and it's a testament to Prestige's quality and innovation that the 520S would win," said Jay Hendrix, Vice President of SI Yachts. "There is a lot of competition in that class from builders all over the world. Congrats to the Prestige team and we are excited to have a 520S here available for sale at Staten Island Marina." For more information on the available Prestige 520S that has just arrived, please call us at (718) 984-7676 or by email at Sales@SIYachts.com. 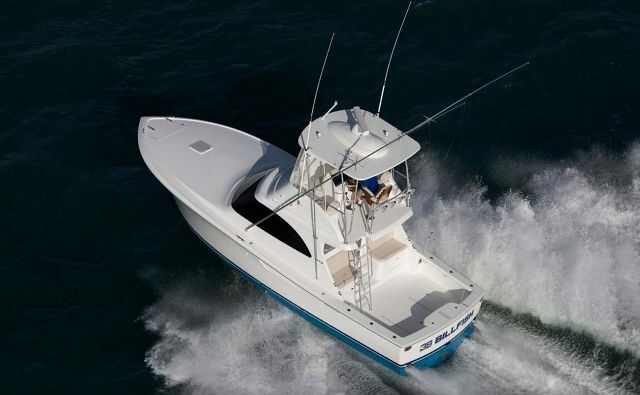 The predecessor of the 520S, the Prestige 500S, was a popular model for the brand and sold very well to the tune of over 500 vessels during its lifetime. So it's no surprise that the Prestige team would follow up with an energetic boat like the 520S. However, there are only but a few similarities between the two models as Prestige looked to their customers for their voice in what they wanted in a 50'+ express yacht. The result is obviously a fantastic boat based on the recent judges opinions. The construction of the new Prestige 520S is much different than the 500S, although subtle at first glance. For example, the 500S was built using a hand-laid fiberglass method. For the 520S, Prestige instituted a much more intensive resin-infusion process. This results in a hull that is lighter, more durable, and results in improvements in several different aspects of the boat including performance and also more space in the interior. The transom of a yacht isn't always thought of as a very "cool" place to hang out, but on the Prestige 520S the swim platform is both functional and fun. Designed with a hydraulic lift, the transom garage can be raised and the swim platform lowered for easy launching of a tender. The hydraulic platform also benefits scuba divers, snorkelers, or swimmers getting back on board. It can also provide an excellent place to sit with your feet in the water and catch some sun. Teak stairs lead you to the cockpit space through a transom door. The bow of a yacht has always been a popular place to sit and enjoy the view while cruising or to lay out and enjoy some sun without any hardtop or overhang getting in the way. Prestige has designed a very nice and functional bow on the 520S that provides room to walk around, but also an inviting sunpad that features two chaise-style lounges that have adjustable backs and at the knees. Additionally, there are drink holders built-in to the sides of the lounges as well as a small bimini top that provides shade. As you can see from the layout above, the galley is placed aft near the large sliding doors that separate the interior from the cockpit. Having the galley positioned here creates a central point that makes serving both the cockpit dining space and the salon dining space convenient. There is seating on both sides of the salon along with a pedestal table that, when the windows are down and the sunroof opened, is an excellent dinner spot under the stars. The Prestige 520S offers a comfortable 3-stateroom, 2-head layout with a full-beam master that features a private entrance. The VIP suite is placed in the bow and features a queen-sized berth while also sharing a head with the third guest cabin. All of the staterooms on board have ample light and ventilation from hatches. If having a tender on board is not a priority, the tender garage can even be converted into a fourth cabin! SI Yachts is one of the top Prestige dealers in the world and is proud to offer this industry leading product. Our full service team at Staten Island Marina can perform all warranty work on your new boat and keep you boating all season long. 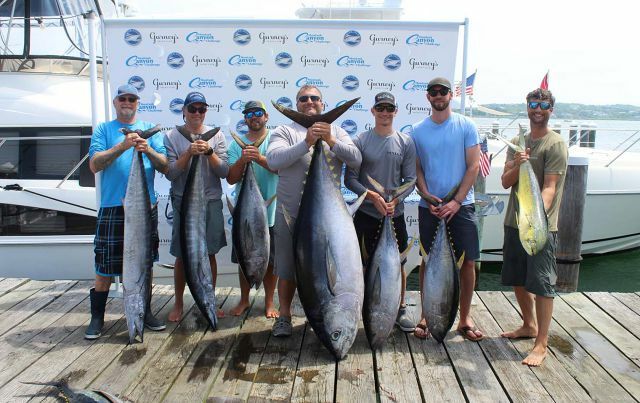 With competitive interest rates and our ability to take your existing boat in trade, there are more reasons than not to get into the boat you're dreaming of before the season ends. -Prestige Yachts is making boating easier on you with their new Docksense system. Recently displayed at the Miami Yacht Show, Docksense takes all the stress out of docking your new boat. -Having fun on the water is easy with the Prestige 590 Flybridge. Learn about all of the features of one of Prestige's newest and most popular models. -Prestige announces a plethora of new express and flybridge models aimed at buyers between 45 and 60 feet.